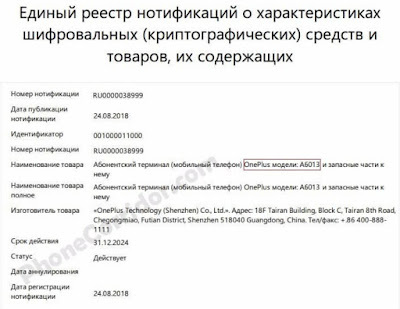 OnePlus is working On OnePlus 6T Smartphone Now OnePlus 6T has been certified by EEC (Eurasian Economic Commission) with model no OnePlus A6013. 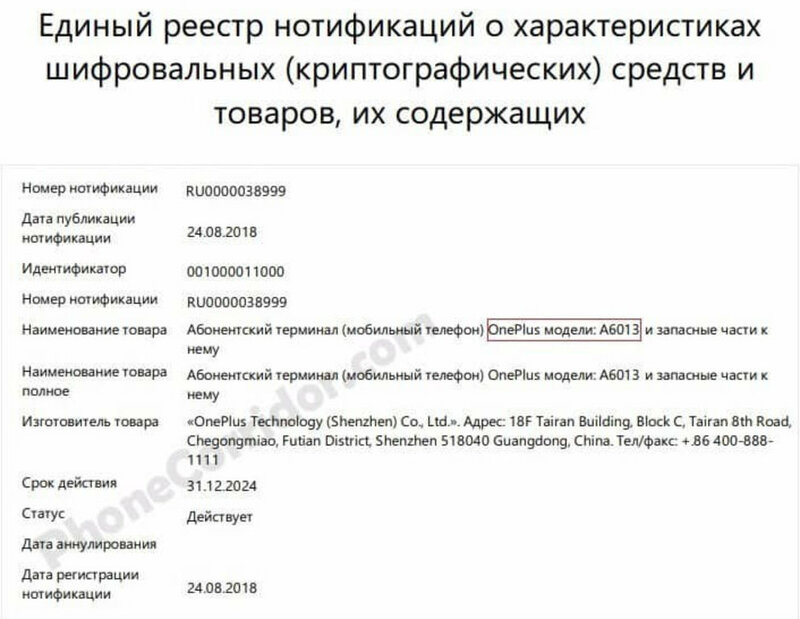 OnePlus 6T will be powered by Snapdragon 845 Processor with up to 8GB RAM and 256GB of internal storage.OnePlus 6T will boast a large 6.4-inch AMOLED display with waterdrop Notch Design. a dual camera 12MP + 20MP and 25-megapixel front camera.